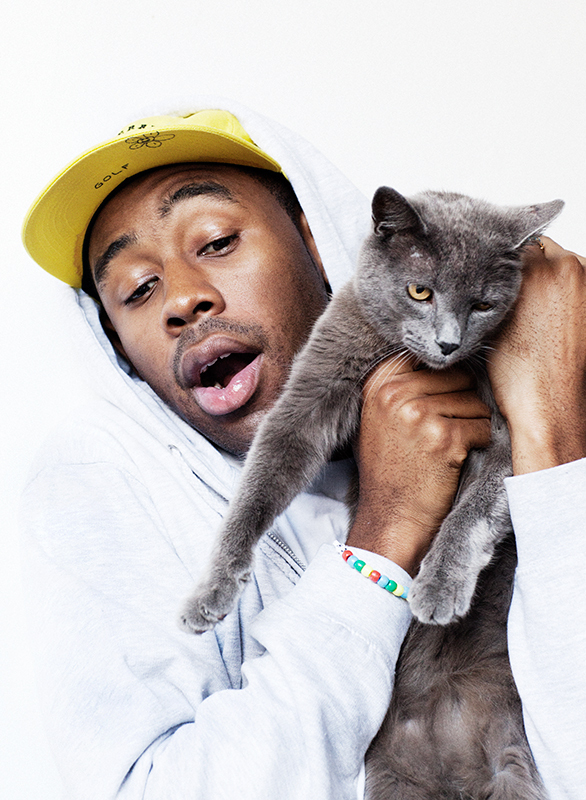 Tyler, The Creator has an ambitious name and plans to match. 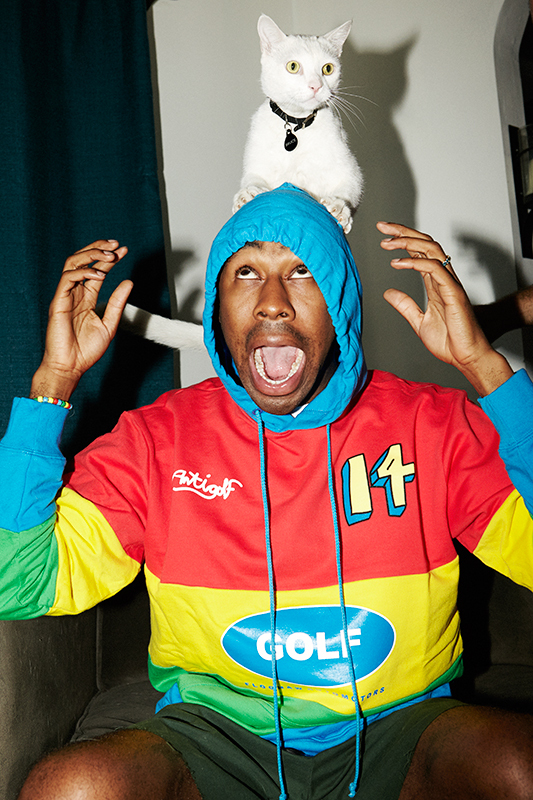 We got the low-down on Golf Wang, fast cars and delved into the mystery of the Tron Cat. What is your favourite cat and why? TTC: Although I’ve never seen one in person, I always thought Ashera cats are really, really cool. They grow to be four feet, it’s almost like having a dog. I don’t even know if a lot of people know that those exist, they cost a shitload. Have you looked into getting one and have you ever had a cat? TTC: I’m not home enough to have a cat. Man, I really I wish I was ‘cos they’re really cool. I’ve never had a pet in my life. I wanna lizard really bad too. Sometimes I catch the little ones in my backyard, but I always let them go. 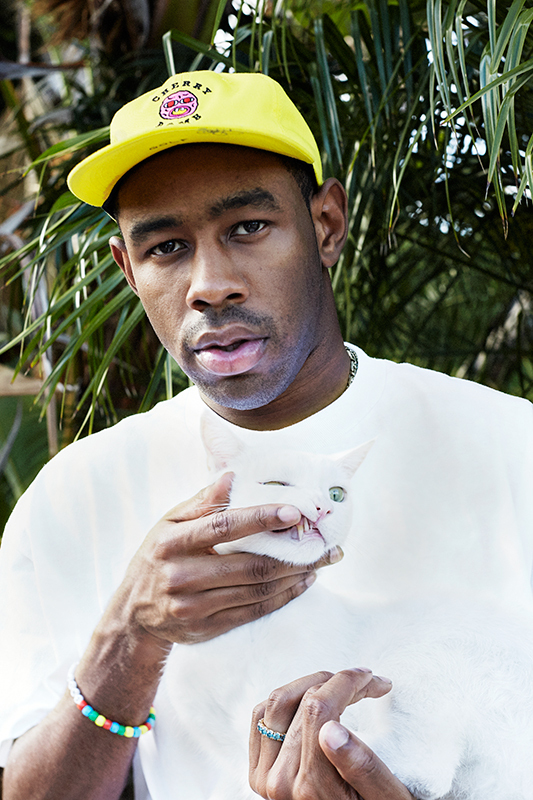 Why do cats feature so heavily in the Golf Wang stuff? TTC: Well, I’m allergic to dogs, so I like cats as they’re the only animal I had access to without dying. I realised cats look way cooler on clothing than dogs too, so I just ran with it. Do you think you’ll ever make apparel for cats? TTC: I don’t know, I never thought of that but who knows? View the full feature in Issue 3 of PUSS PUSS. Click here to buy.